At one point in our travels in the fall of 2006, we found ourselves sailing up the Dart Estuary toward Dartmoor. Above us, on a bluff overlooking the river, stood a lovely home surrounded by greenery. 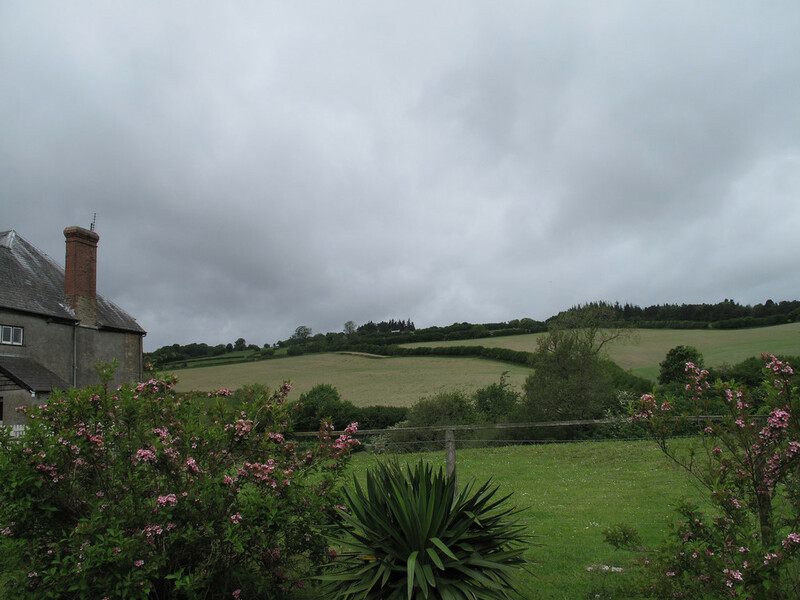 Roz Hutchinson, our Blue Badge Guide, informed us that this was Greenway, the country home of Agatha Christie. 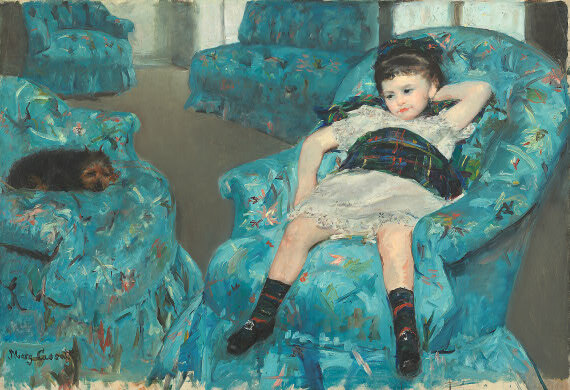 It had recently been acquired by the National Trust, but was not yet ready for viewing by the public. We sailed further along the River Dart. Greenway was gradually lost to view. But I made a silent vow: namely, that one day soon I would get inside that house. And last month I did just that. 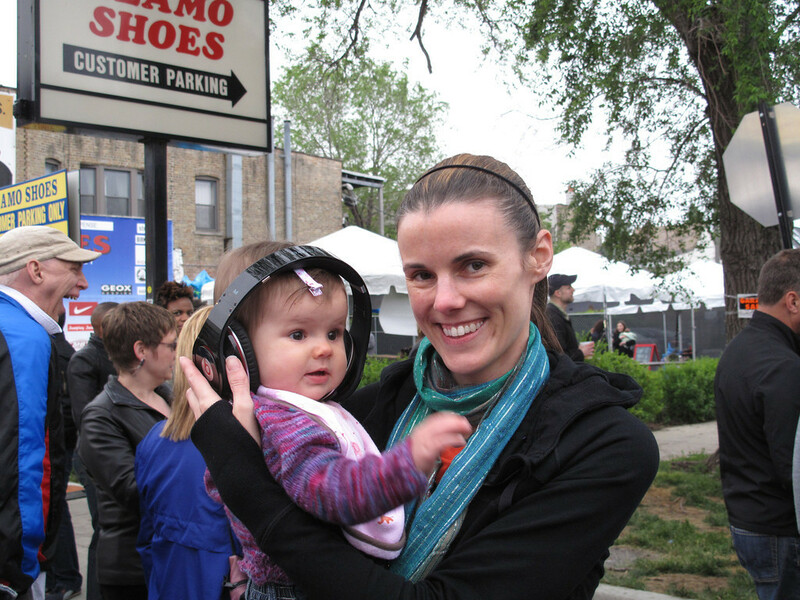 Greenway was finally opened to the public in February of 2009. This article from the Telegraph includes a video made for this auspicious occasion. 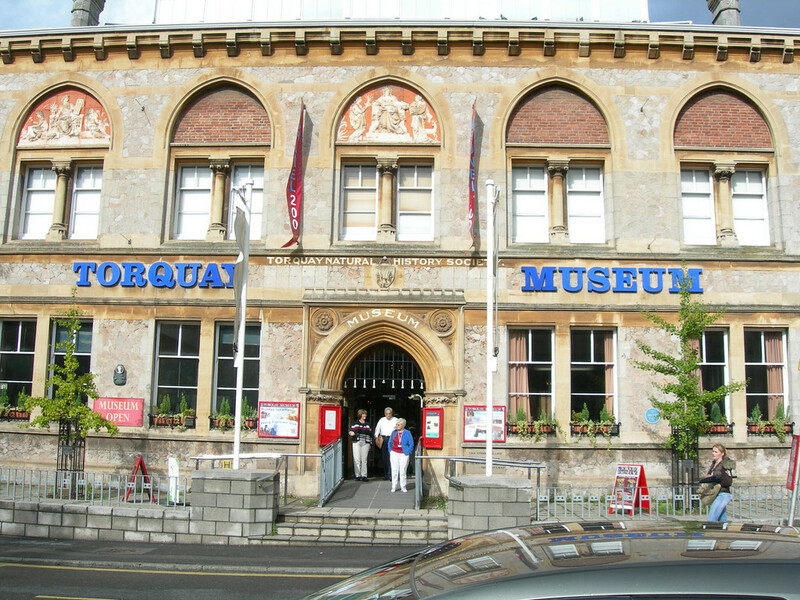 This time, we were only in Torquay for a single day, a Monday, the final day of our tour. And what a day it was! For one thing, in an unexpected (and very welcome) turn-up, our guide for Torquay was once again Roz Hutchinson. 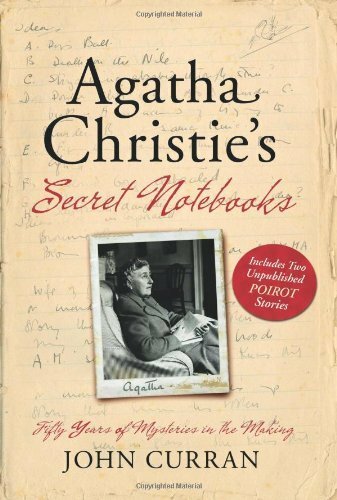 In addition to that, our guide for Greenway, and indeed for All Things Agatha, was John Curran, award winning author of Agatha Christie’s Secret Notebooks and acknowledged authority on the life and work of the Queen of Crime. Our Torquay excursion began with coffee at the Grand Hotel, where a young Agatha Miller spent the first night of her honeymoon with Archie Christie. Located right on the water, the Grand is a lovely old Grande Dame of a hostelry. 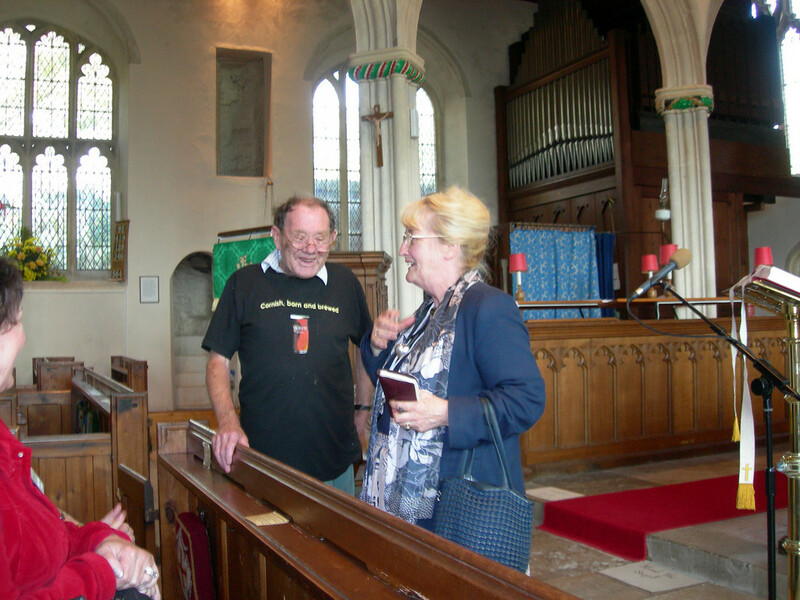 Then it was on to the Torquay Museum and the Church of St. Mary the Virgin in Churston Ferrers, both places visited by Ron and me on our 2006 journey. The museum contains a wonderful trove of Agatha-related objects; it also features an illustrated timeline of Christie’s life. 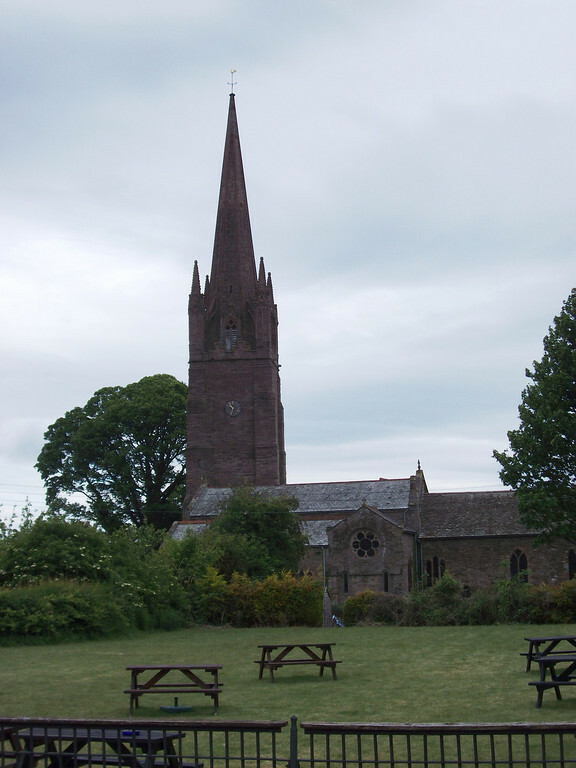 The Church of St. Mary the Virgin is the church attended by Agatha Christie. 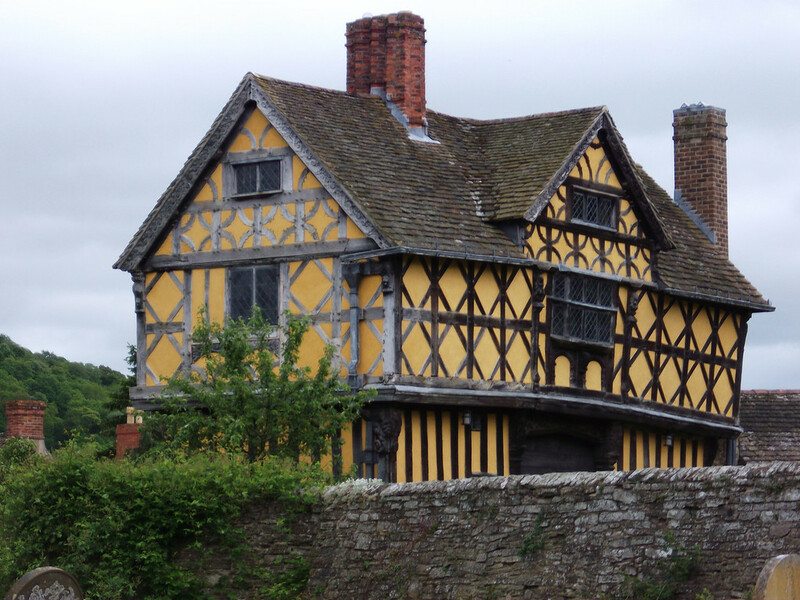 It is but one of many ancient edifices dedicated to religious observance that one finds all over England. 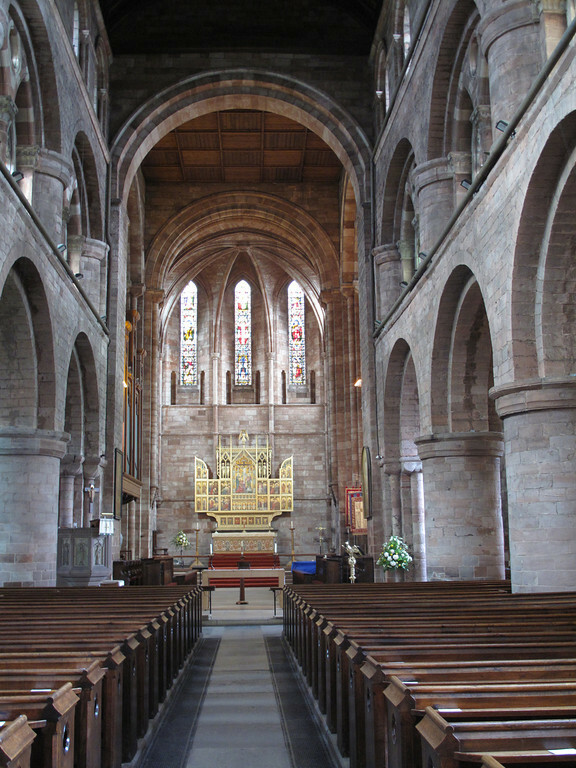 Built in the fourteenth century, it was restored in the nineteenth. 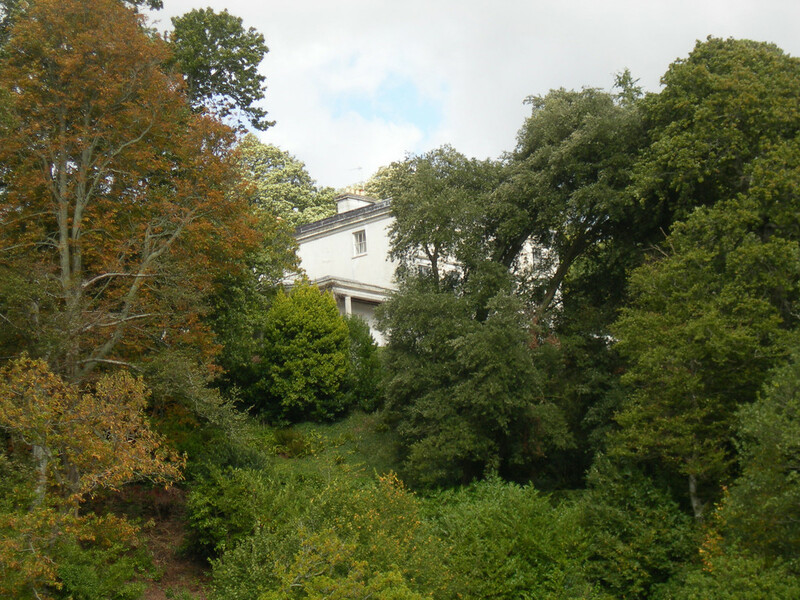 When we were there the first time, we were greeted by Mark, an elderly gentleman who had been a gardener at Greenway during Christie’s lifetime. But Mark was not there this time. Roz told us that he’d been ill. Ron and I felt his absence. 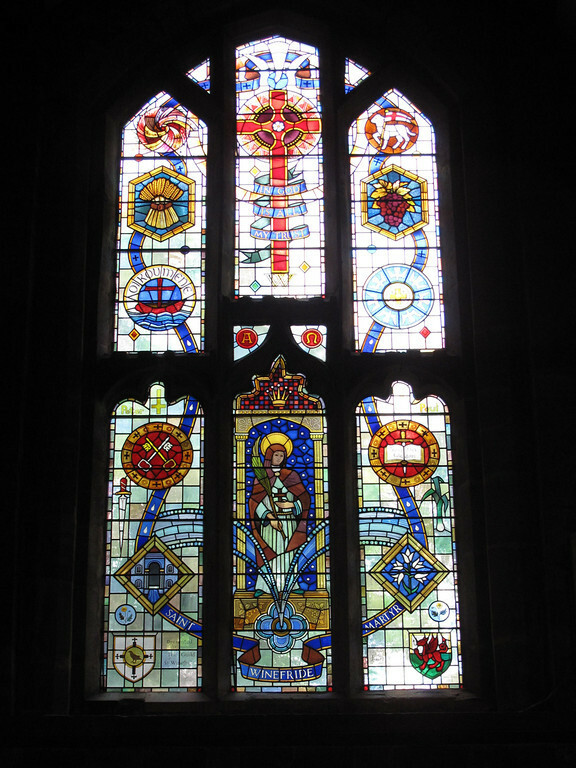 One of the church’s principal claims to fame is the Good Shepherd stained glass window donated by Dame Agatha herself. Next door to the church is the Churston Court Inn, where we had lunch. 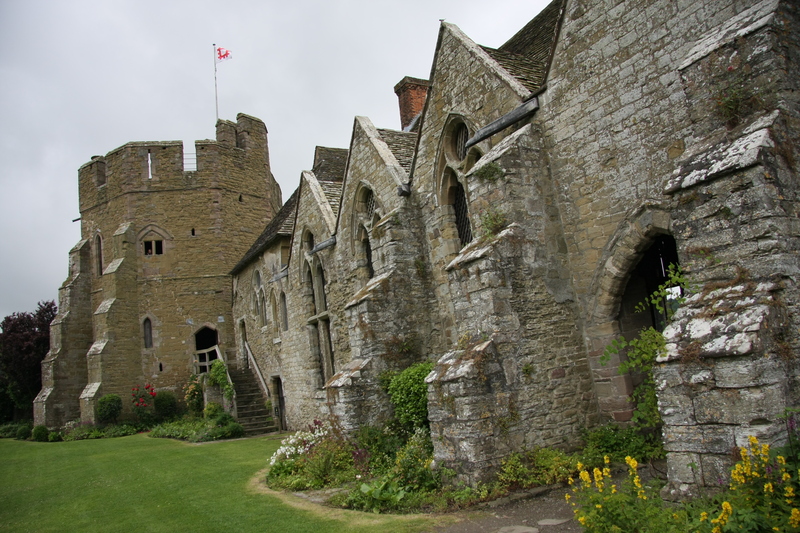 The restaurant is housed in a twelfth century manor house which has been meticulously restored. Now all of these activities were by way of a build-up to the main event: the tour of Greenway House. This gracious, historic domicile, usually closed on Mondays, was opened especially for our group. 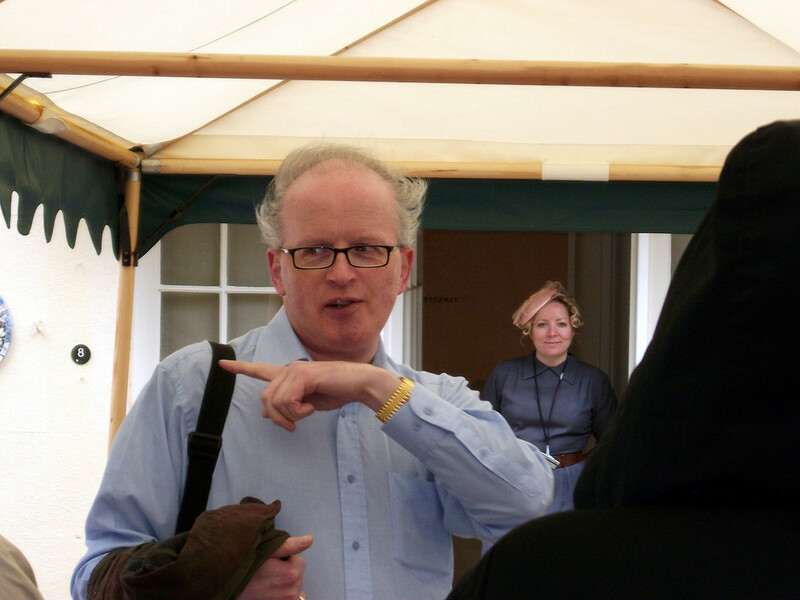 And by the time we reached the front entrance, John Curran was in full flood as he commenced telling the story of Agatha Christie and her family at Greenway. My overall impression was of a cozy, intimate dwelling place, very different in size, scope, and purpose from the imposing estates one often sees in England. John Curran told us that the Greenway experience aims to simulate that of a casual visit to friends or neighbors, who have just stepped out for a short time. 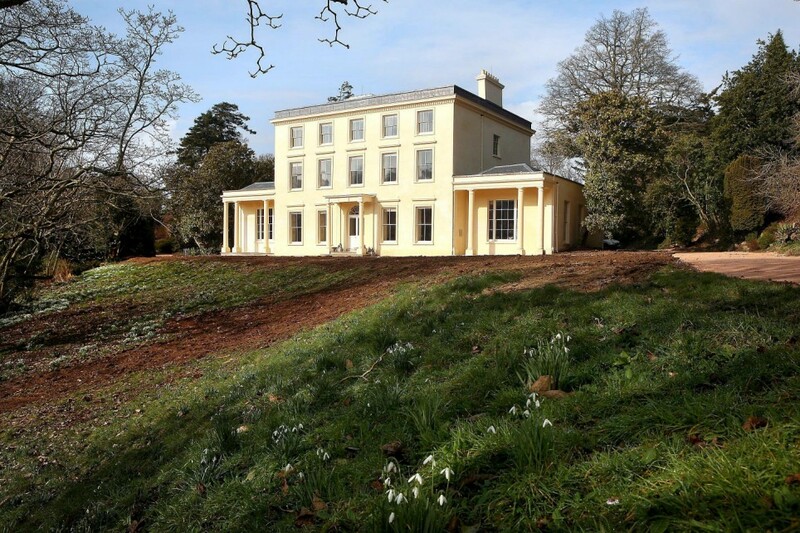 In an article in the June issue Smithsonian Magazine, Robyn Brown, who manages the property for the National Trust, describes her conversations – one could almost call them negotiations – with Christie’s daughter, the frail and elderly Rosalind Hicks, just prior to Greenway’s being open to the public: “The sticking point for Rosalind was that she didn’t want us to create a tacky enterprise–‘the Agatha Christie experience. '” In fact, Rosalind initially wanted the house stripped bare of its contents. Brown countered that in that case, the house would seem soulless. 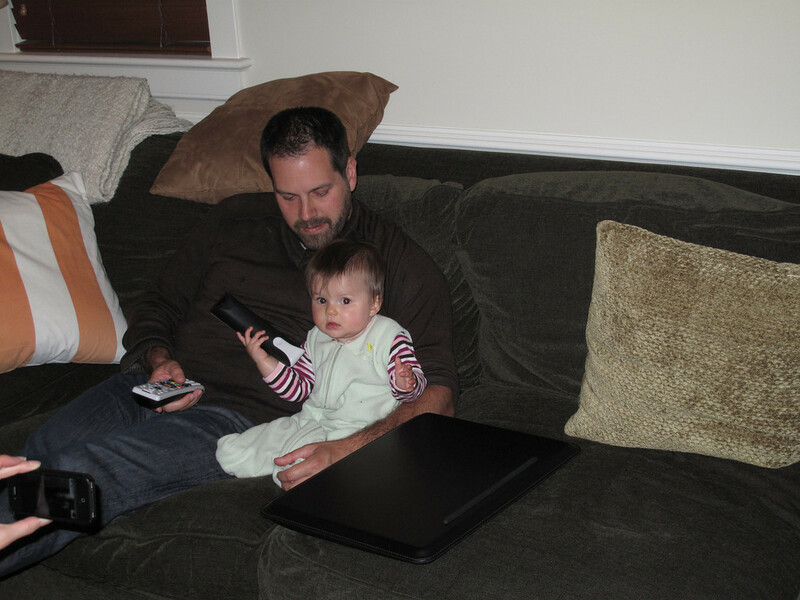 Moreover, if objects were brought in from elsewhere, they would lack authenticity. 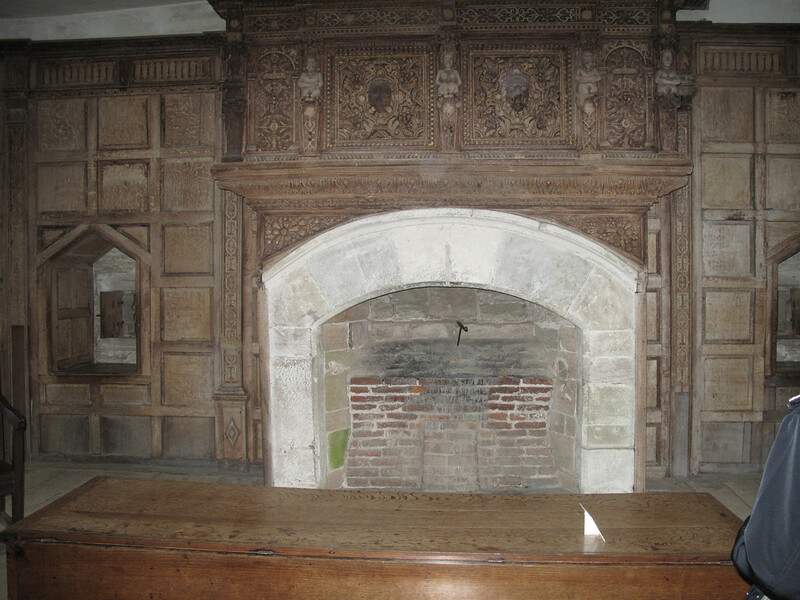 Brown then proposed that the home’s contents be left in place, and that the impression be given that the occupants were just temporarily absent and were soon to return. And indeed, that is the feeling you get as you go through the rooms of this very special place. During the Second World War, Greenway was requisitioned by the Admiralty. It was then occupied by Flotilla 10 of the U.S. Coast Guard. 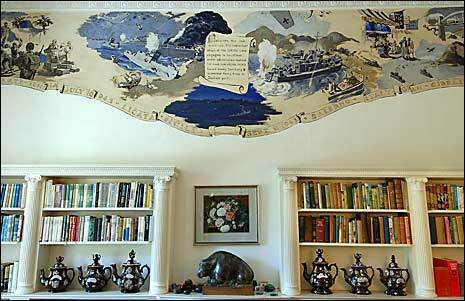 Lt. Marshall Lee, one of the guardsmen, painted a frieze that runs along the wall of the library just beneath the ceiling. In essence, it’s a pictorial history of the war as experienced by Lee’s group, from its beginning in Key West, Florida, right up to its billeting at Greenway. 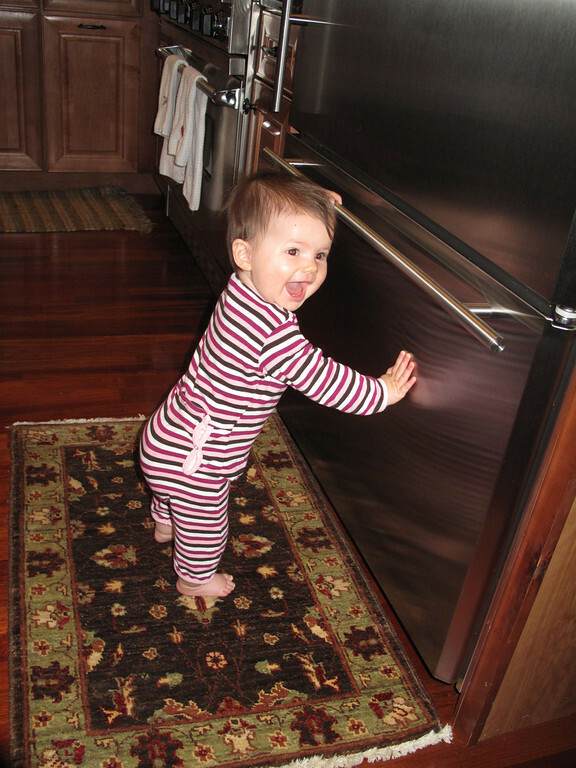 At the war’s conclusion, the unit’s Commander asked the homeowner if she would like them to remove the receive. Christie replied that on the contrary, it was part of history. She elected to keep it as it was. 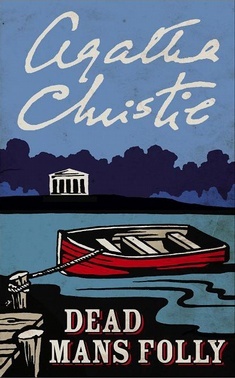 Two Christie novels, both featuring Hercule Poirot, use Greenway and its grounds as the setting for the action: Five Little Pigs and Dead Man’s Folly. 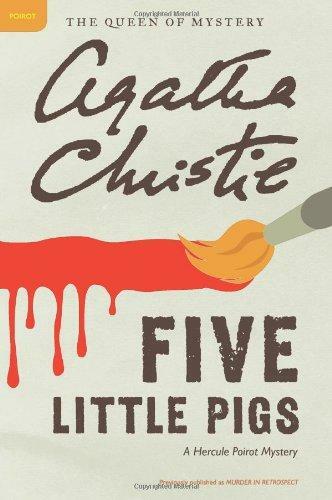 In Five Little Pigs, it’s the grounds behind the house leading down to the river – specifically the battery and the boathouse – that figure prominently in the narrative. I’d already read and very much enjoyed this novel, and had been looking forward to seeing these locations. Unfortunately, the day was windy and rainy. John Curran was willing to take us, but he warned that the footing was rather precarious. Although several of our group did make the trek down to the boathouse, Ron and I declined. And so there was an opportunity missed. I hadn’t read Dead Man’s Folly at that time, but I purchased it at Greenway’s small but well stocked gift shop. I enjoyed the novel a great deal, especially since I could imagine the characters inhabiting the Greenway I had just seen. I think I speak for everyone who came on this excursion when I say that we were simply astonished by John Curran. Not only does he possess an encyclopedic knowledge of Agatha Christie’s life but he also has a deeply impressive grasp of her oeuvre. We were told that he had stayed on in Bristol after Crimefest so that he could take our group through Greenway. John Curran is an exemplary scholar and a generous and gracious person. Agatha Christie’s Murder in the Making, the follow-up to Agatha Christie’s Secret Notebooks, is due to be published this fall. 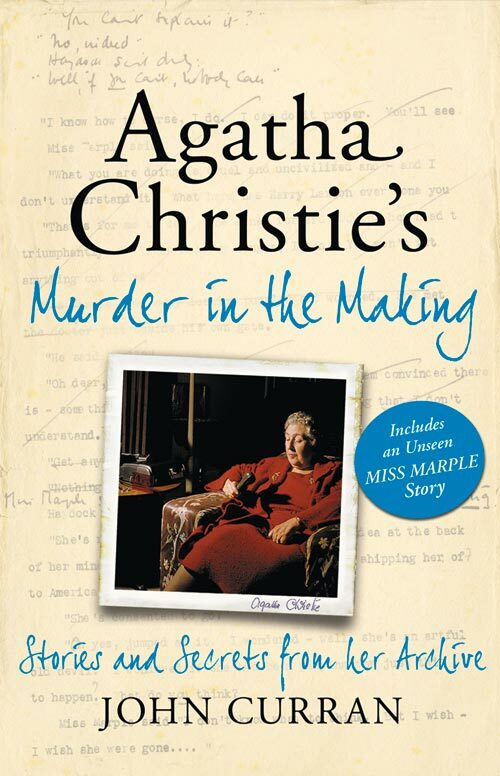 Masterpiece Mystery’s Six by Agatha contains some recollections and reflections by Christie’s grandson Mathew Prichard, as well as an interesting slide show. The BBC posted this feature on its site at the time of Greenway’s opening. 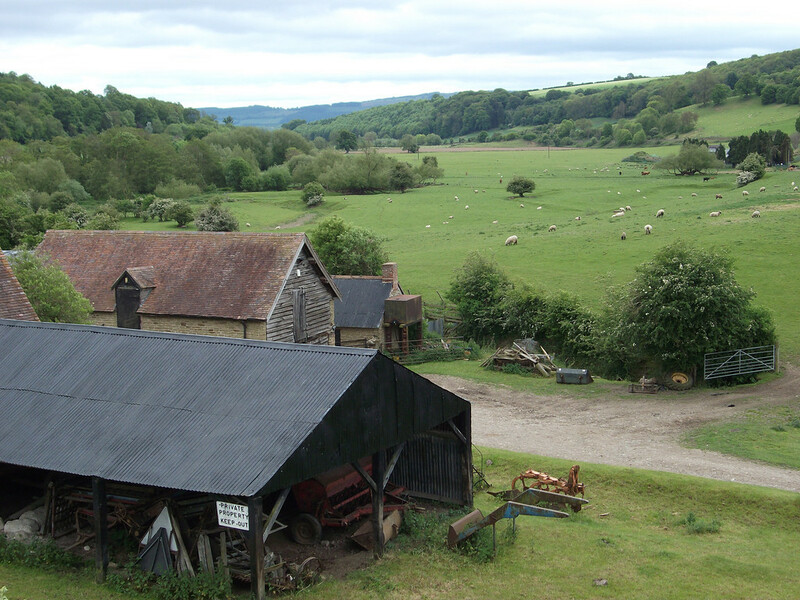 The National Trust provides a summary of Greenway’s history. Finally the English Riviera site offers a veritable trove of Agatha info! Several explanations for the ubiquity of the ghost in this land, can be offered. Alone among the countries of Europe, England is bordered by the original British (or Celtic ) nations. 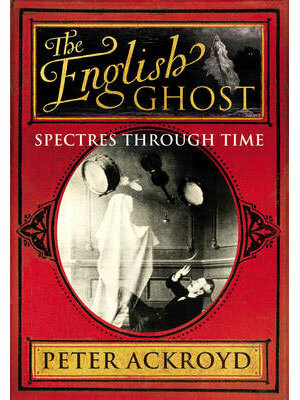 The popularity of the English ghost tradition–the English see more ghosts than anyone else–is deeply rooted in its peculiar mingling of Germanic, Nordic and British superstitions. The English are also in many respects obsessed with the past, with ruins, with ancient volumes. It is the country where archaeology is placed on national television, and where every town and village has its own local historian. Ghosts therefore may be seen as a bridge of light between the past and the present, or between the living and the dead. They represent continuity, albeit of a spectral kind. 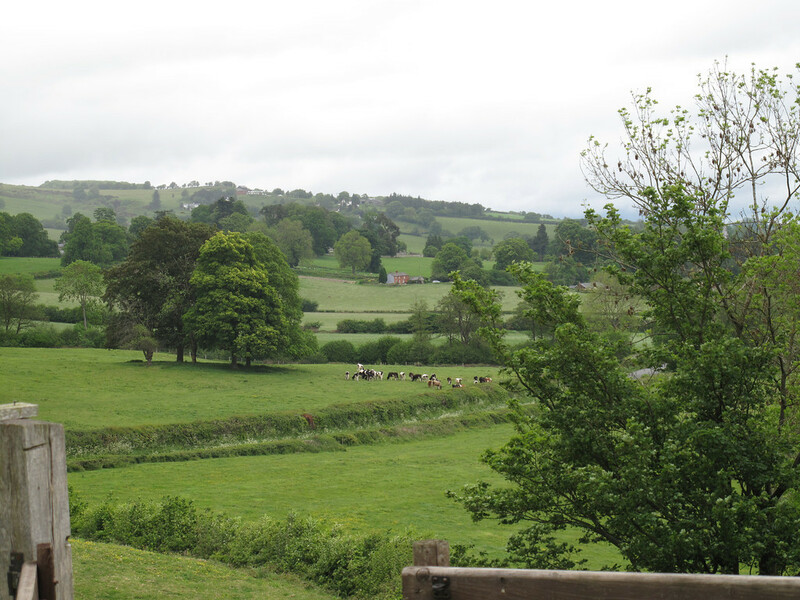 While passing through the countryside of Herefordshire, we heard the story of a young woman who, believing her lover to be unfaithful, did murder him. 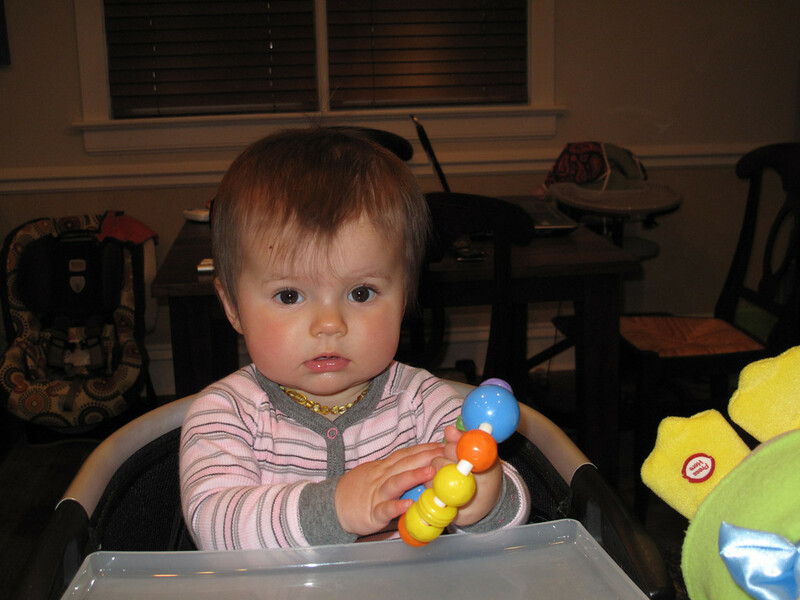 Later she found that her suspicions had been unfounded. 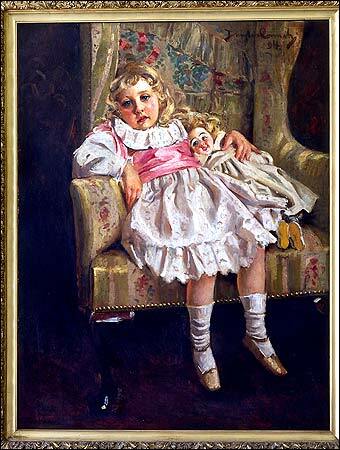 Upon learning the truth, she killed herself (pined away?). 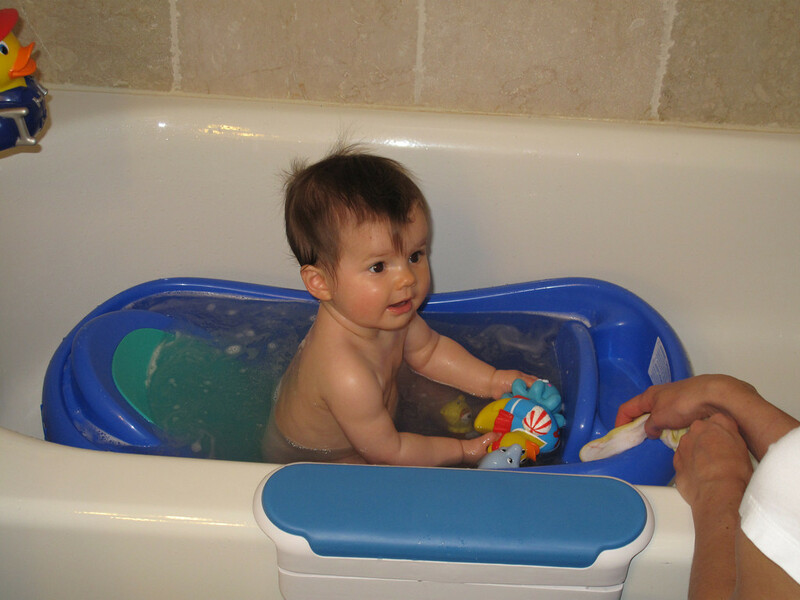 It is said that her ghost now haunts a well – I couldn’t make out for certain exactly where. 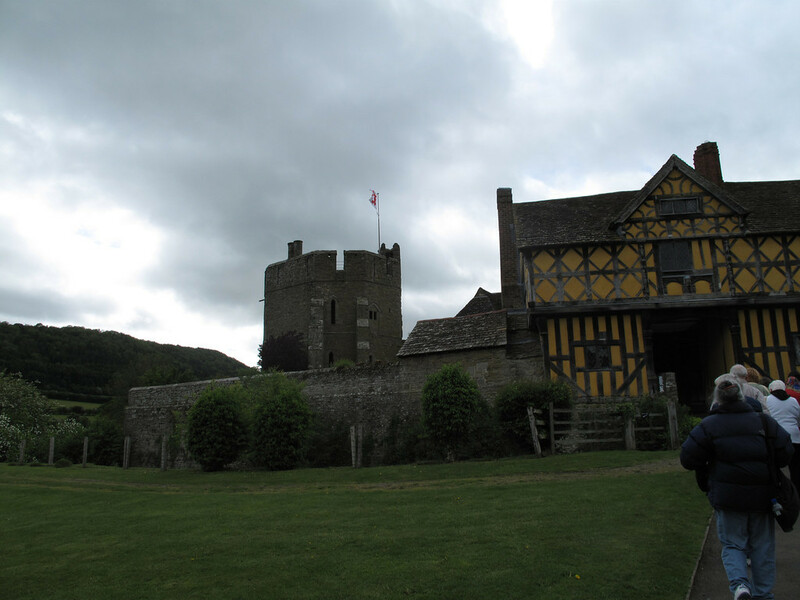 As we passed Goodrich Castle, our Blue Badge Guide Pam recounted the legend of Alice Birch. It seems that she and her lover Charles Clifford found themselves on opposite sides during England’s ferociously contested Civil War. 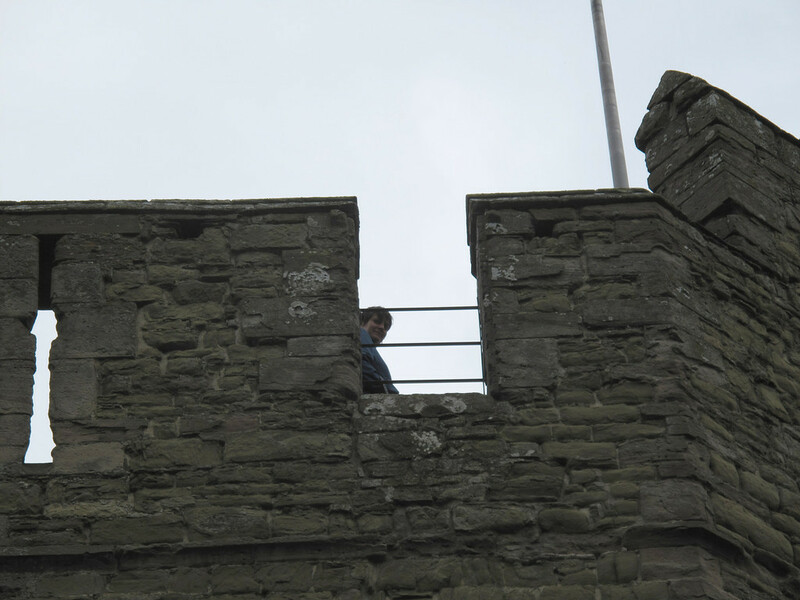 They had both sought refuge in the castle, from whence they were at length forced to flee. Seizing Clifford’s steed, they made for the River Wye in a desperate attempt at escape. But the river was in full flood, their horse lost its footing, and they were drowned. They are said to haunt both the river and the castle. 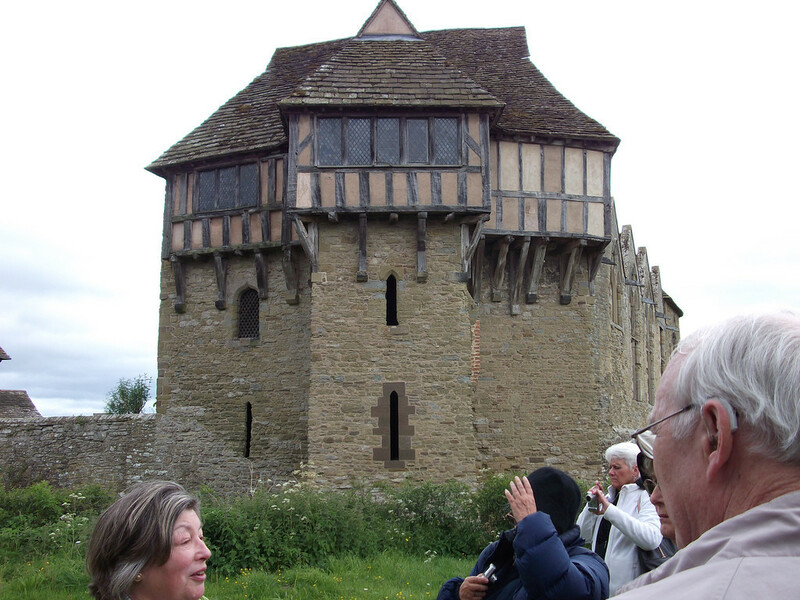 Learn more on “the eternal lovers and their watery fate” at Richard Jones’s site Haunted Britain and Ireland. 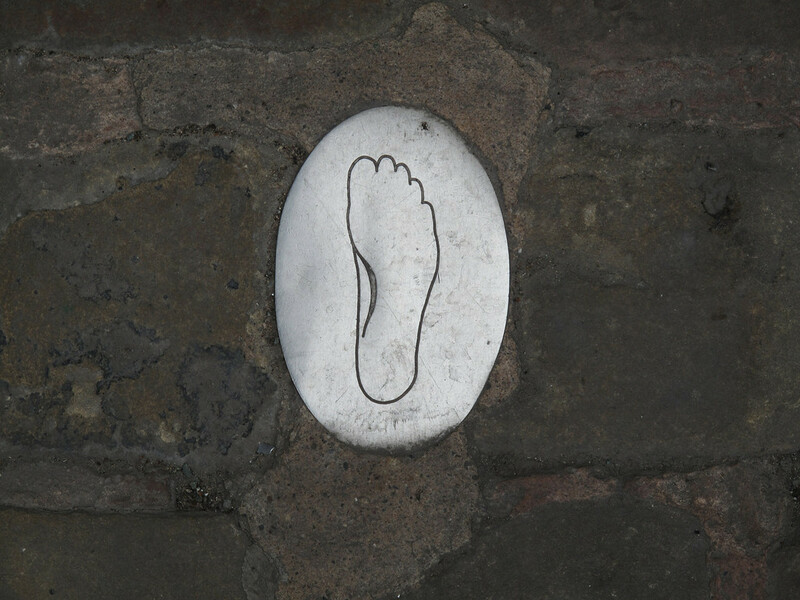 Weobley (pronounced “Webbley”) is one of the destinations on the picturesque black and white villages trail. 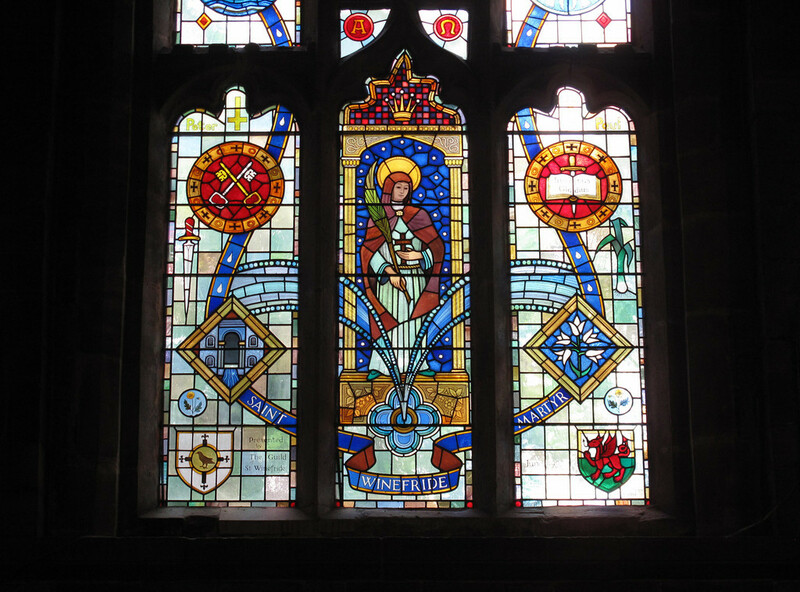 In Weobley, we visited the Parish Church of St. Peter and St. Paul. Christians have worshipped here for nearly 1,000 years. Wibba, son of Creoda, King of Mercia, founded “Wibba’s Ley” as a defensive outpost against the Welsh in the 6th century. 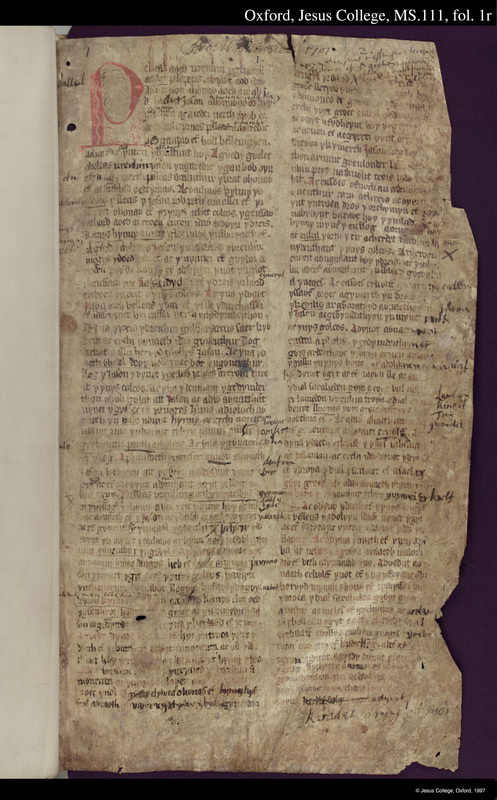 The first mention of a resident priest at “Wibbelai” comes in the Domesday Book of 1086. A strange and sinister legend has attached itself to a large stone cross that stands in the yard of this church: If you walk around it backward, all the while reciting the Lord’s Prayer, you will summon the Devil. 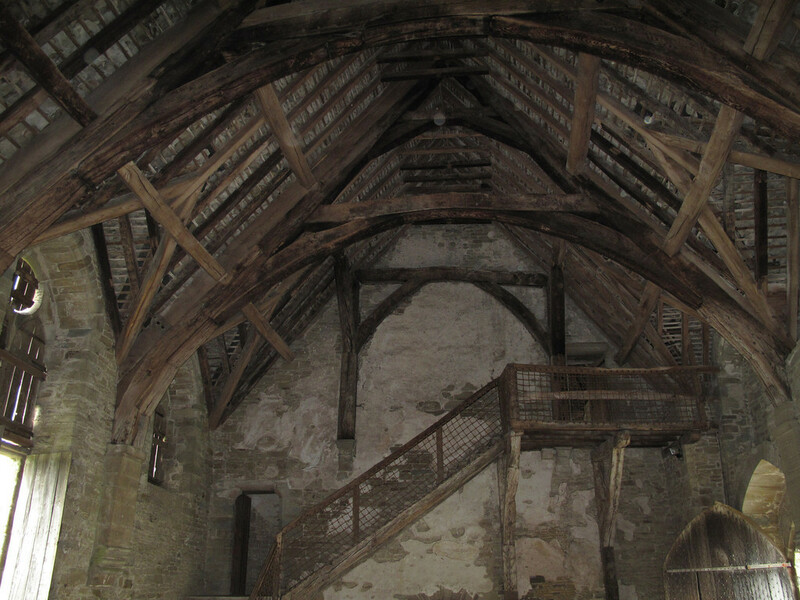 Read more about “The legend of Old Nick” at the Haunted Hereford site. If you perform a search for “Hergest Court,” your results will include a number of ghost hunting sites (like this one). It’s prime ghost spotting territory. When we were there, it was cold and windy, with periodic lashings of rain -weather seemingly ordered up by central casting for this particular encounter. Hergest Court is now a shadow of its former glory. It is a sad looking house of white walls and dark timbers that exudes a weary air of detached indifference. 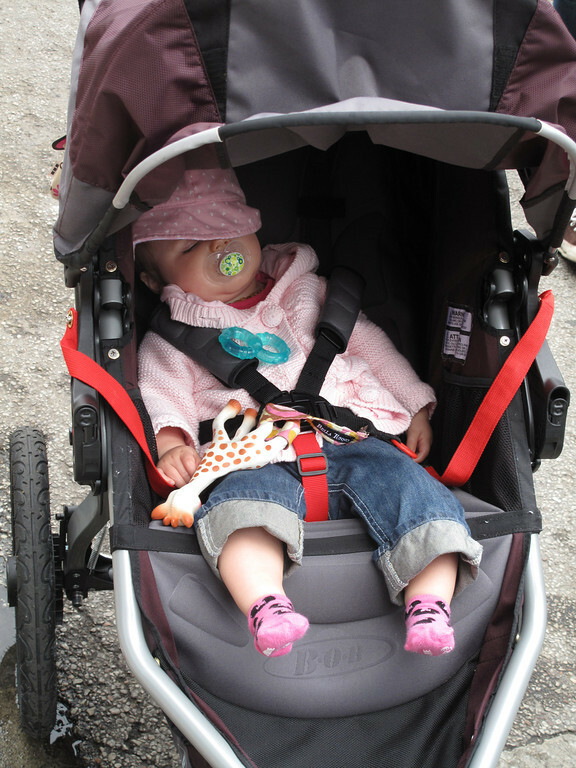 And yet, somewhat to my amazement, a family with young children were preparing to move in. Mention should be made here of the Red Book of Hergest. 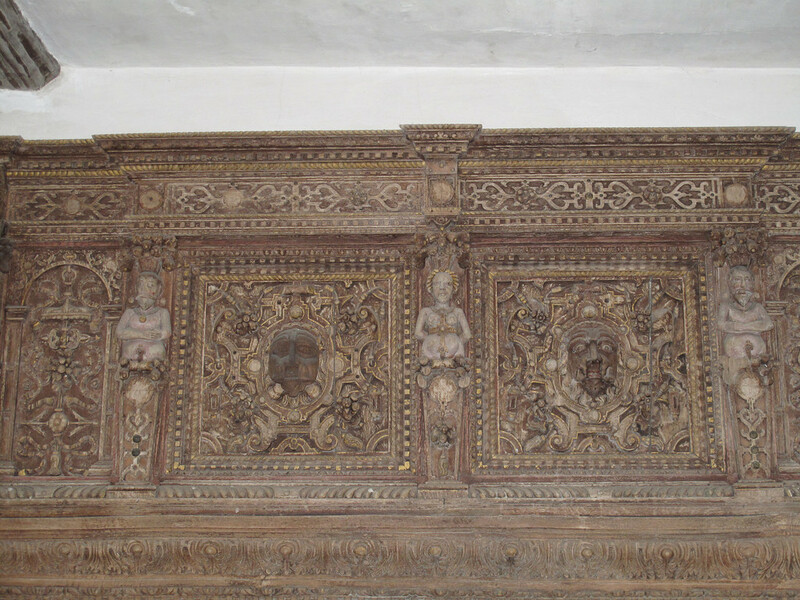 This ancient volume dates from the fourteenth century and was owned for a time by the Vaughan family. Ultimately it was given to Jesus College Oxford, where it now resides. The contents of the Red Book – so called because of its red leather binding – provided some of the source material for the Mabinogion, a collection of tales both historical and mythological set primarily in Wales. 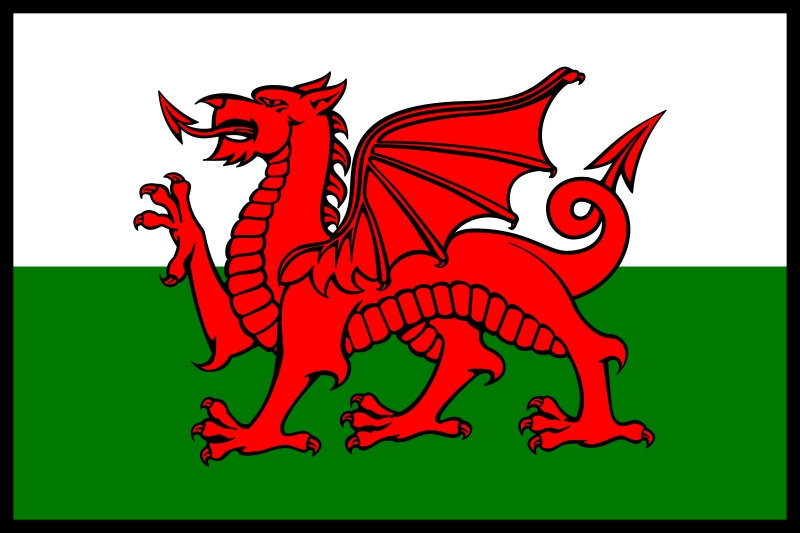 A landmark translation of the Mabinogion from Welsh into English was done by Lady Charlotte Guest in the nineteenth century. He struck us as a man on a mission, with an almost inexhaustible supply of rhetoric. As you can see (and hear), he possesses a wonderfully declamatory style, which, we were assured, is characteristically Welsh. 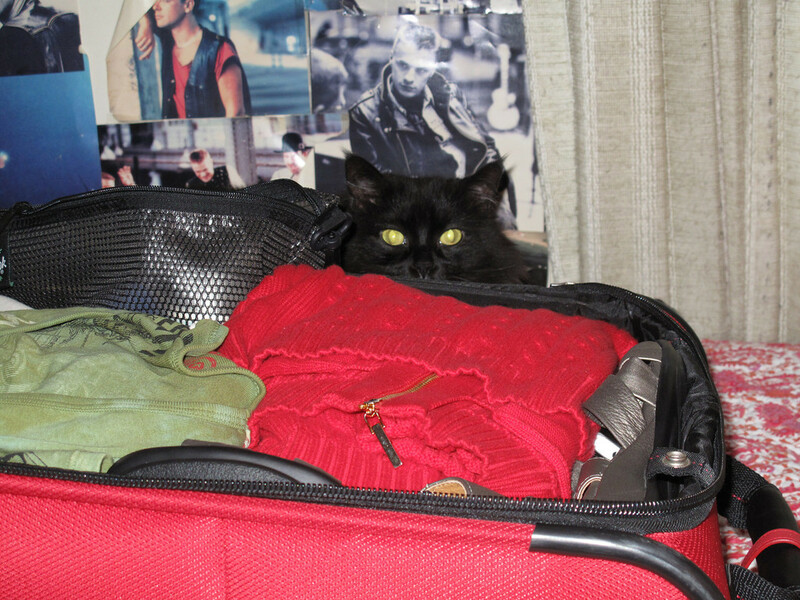 Miss Marple always know when a journey is soon to commence. 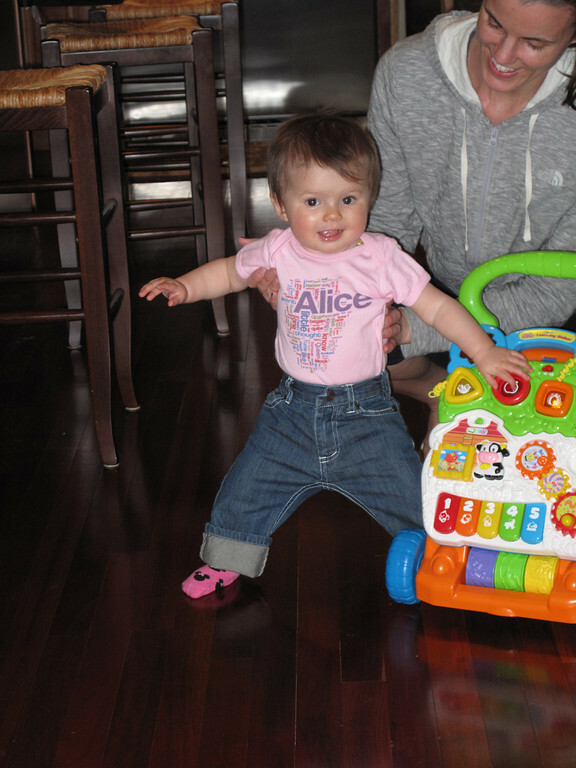 Etta has been working on her boogie dance technique – this is just the beginning! Oh, the joy of yet another romp through the criminal underside of Shepherd’s Bush in west London, courtesy of Cynthia Harrod-Eagles. 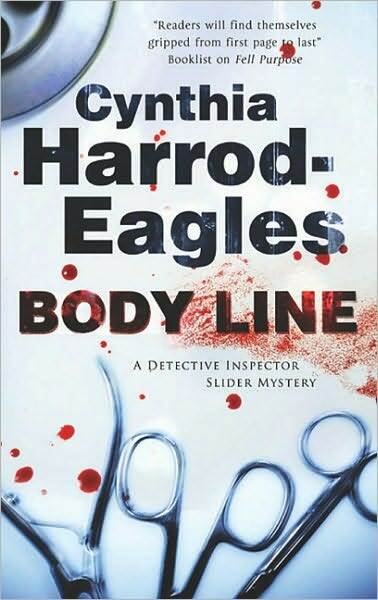 Once again, this author has crafted an intriguing murder mystery, but as always, the real joy in this novel comes from Harrod-Eagles’s colorful language and witty asides. Witty – but never silly. This tale of a cunning charmer and the witless young women who fall for him never fails to delight! 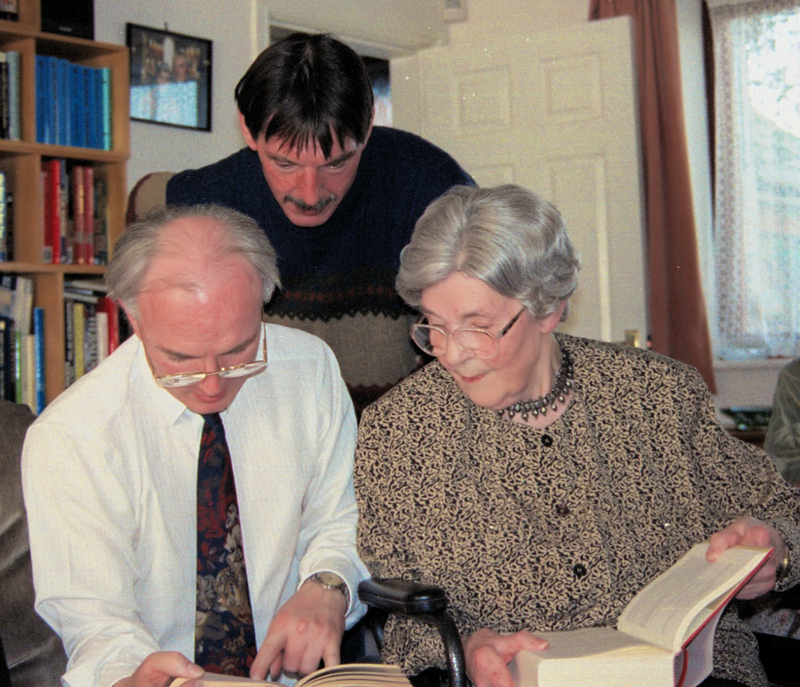 Ellis Peters, real name Edith Mary Pargeter, was born in 1913 in Shropshire. An autodidact, she never attended university but manged to produce an impressive body of historical fiction. She’s probably best known for the Brother Cadfael mysteries. 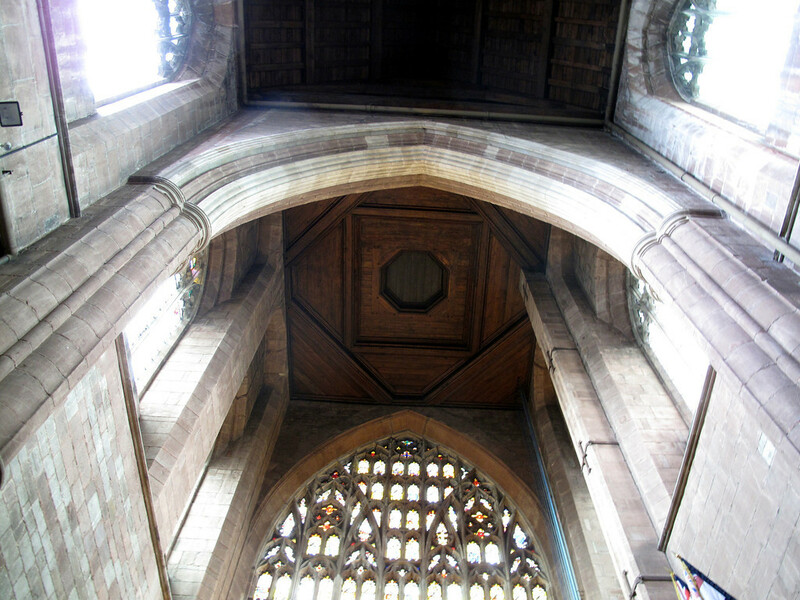 These are set in Shrewsbury, the county town of Shropshire. 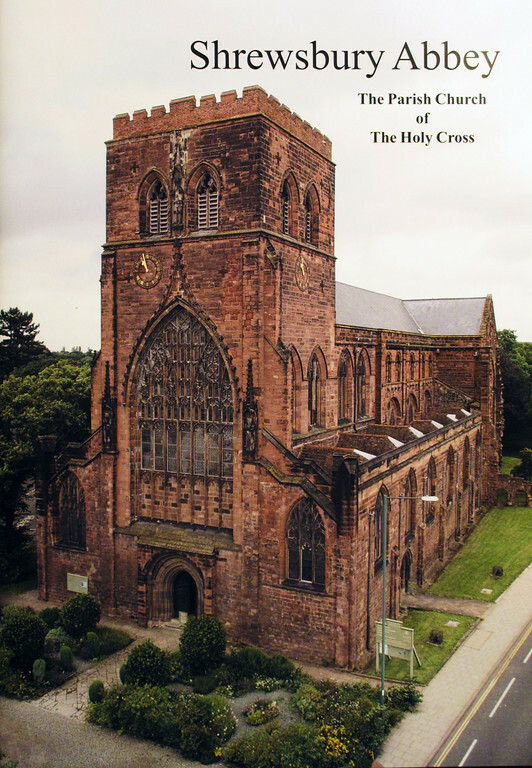 Peters envisioned Shrewsbury Abbey as the monastic dwelling of her protagonist, a monk, a healer, and a skillful problem solver, the problem being as often as not whether a murder has been committed, and if so, by whom. This image graces the cover of the guide book. 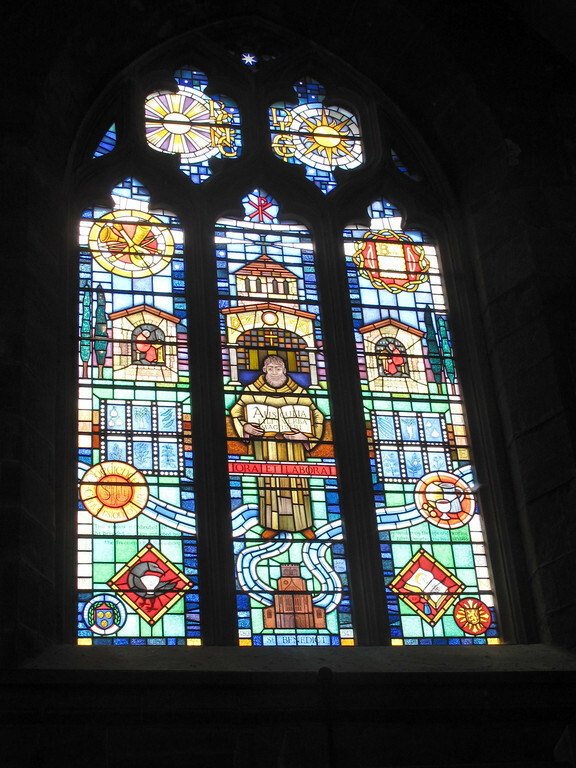 The Benedictine Abbey of Shrewsbury was established in 1087 by Roger de Montgomery, newly named as Earl of Shrewsbury. The Abbey flourished up until the Dissolution, after which time it was allowed to fall into disrepair. 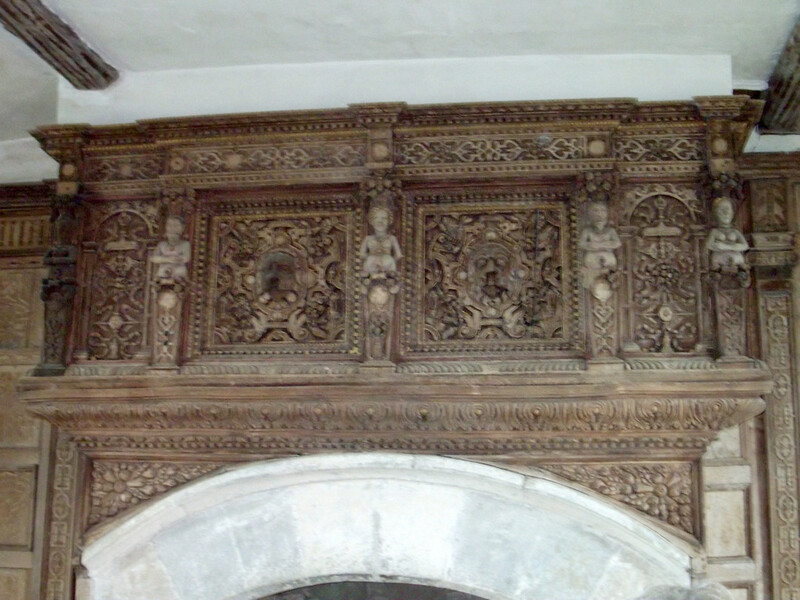 A full restoration was begun in 1885; the work continues to the present day. 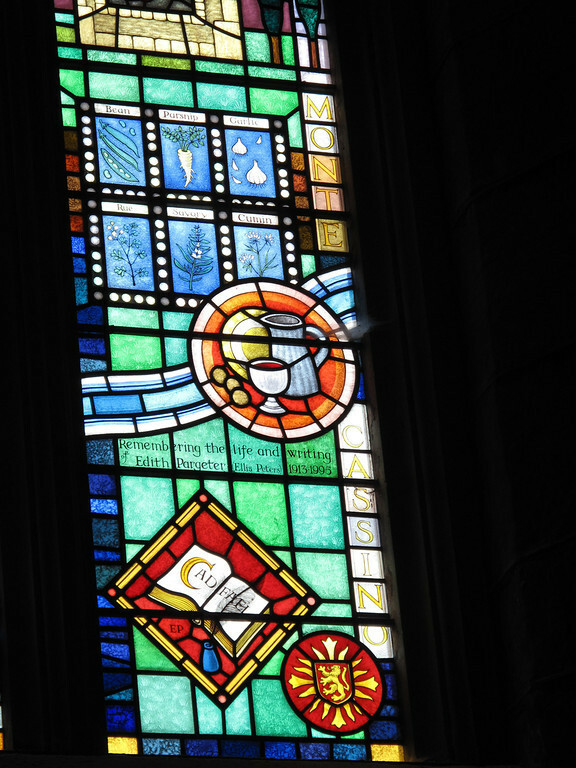 Click here for more on the history of the Abbey. 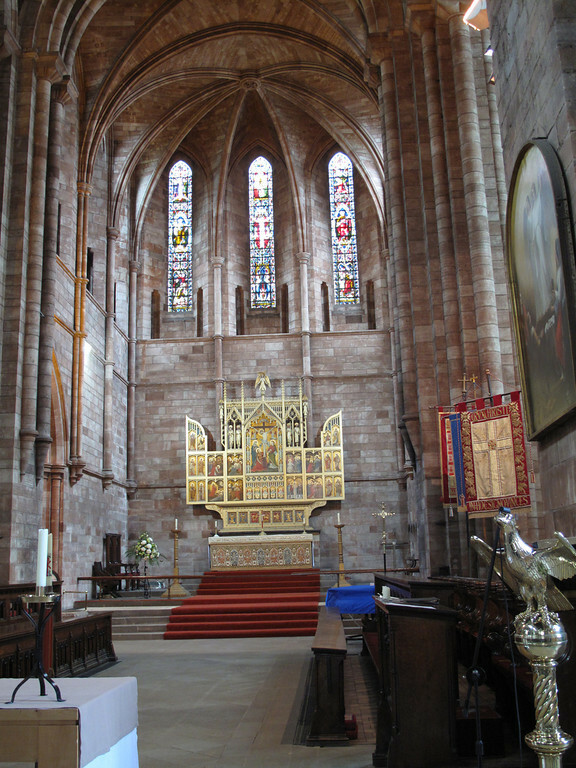 In 1137, the remains of Saint Winefride were conveyed from her burial place in Wales to Shrewsbury Abbey. 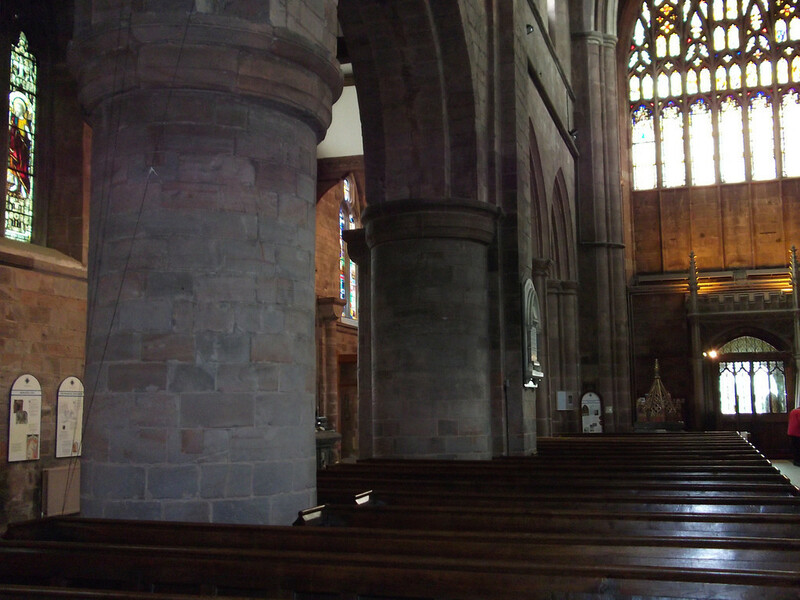 There, they were interred in the west end of the Abbey Church. The Guild of St. Winefride was established in 1487. In 1540, in the time of the Dissolution, the shrine was destroyed and the guild disbanded. In 1987, after a lapse of nearly five centuries, the Guild was restored. 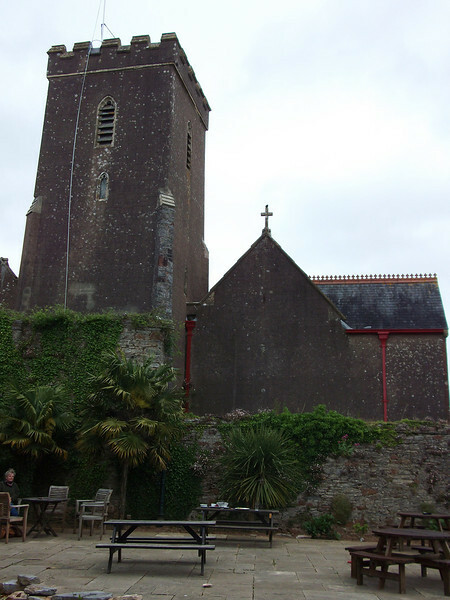 Among its other tasks, members are pledged to prayer and to assist in the maintenance and beautification of the Abbey. Ellis Peters took the known facts about the Saint’s removal from Wales by the monks of Shrewsbury and fashioned a cunning mystery entitled A Morbid Taste for Bones, the first entry in the Cadfael series. After this intensely pleasurable experience, we proceeded to the Prince Rupert Hotel to have coffee with Edward Marston. Marston is the prolific author of several historical crime fiction series. Most relevant to our tour was the Domesday series, set in eleventh century Britain and featuring Ralph Delchard and Gervase Bret. The title especially germane to our tour was The Dragons of Archenfield. Although the novel is short, I found the plot convoluted and somewhat hard to follow. Marston is a mesmerizing speaker; he put the conflicts of the era in an understandable context. I would now like to revisit the novels in this series. 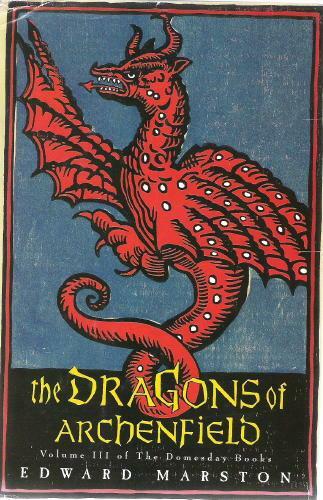 The novel opens with a memorable sequence of events in which the image of the red dragon of Wales, pictured on the flag above and on this book cover, is brought to vivid, if terrifying, life. Edward Marston spoke eloquently of Ellis Peters, with whom he had been acquainted. 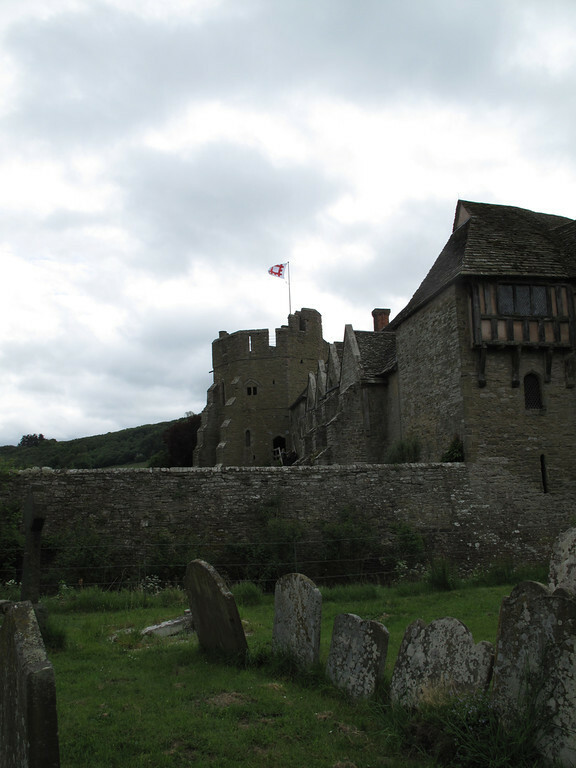 Her research, he averred, was flawless, to the extent that her books are now used in academic settings where medieval monastic life in England is being studied. Marston alluded with respect and affection to Peters’s “slightly Victorian prose style,” an attribute of her novels that many of us consider a major attraction. Ellis Peters also wrote detective fiction set in the Shropshire of her own time, featuring Inspector Felse and his enormously appealing son Dominic. I particularly recommend The Piper on the Mountain.